Instagram has exploded in popularity in recent years and can be an amazing opportunity for your business. But before you start posting, there are some important things you should know about the platform to make sure you’re set up – not just for social media success, but for true business success. There are over 300 million active users per month on Instagram, and users are REALLY ACTIVE! They post 70 million photos a day. Each second, there are 8,500 likes and 1,000 comments on images. This is why I’m so excited about Instagram, and why you too should be looking to the platform as a tool for your business. 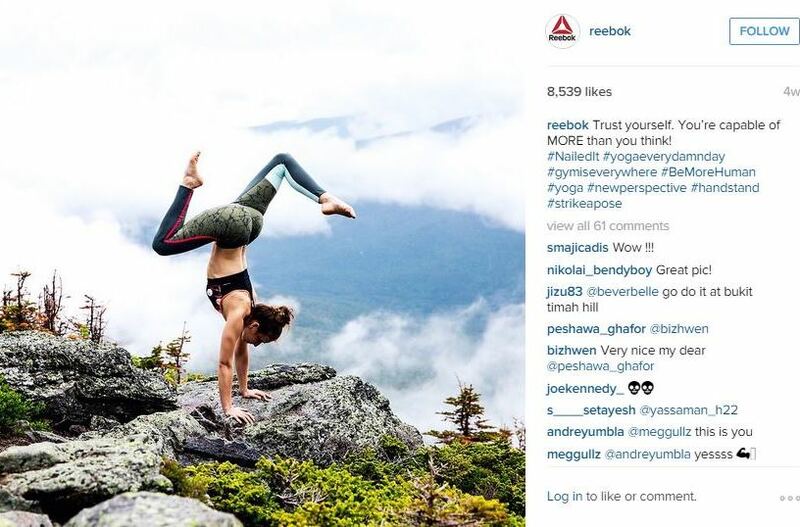 At Reebok, we use Instagram every day to engage with our followers and show them how we as employees live our brand message. 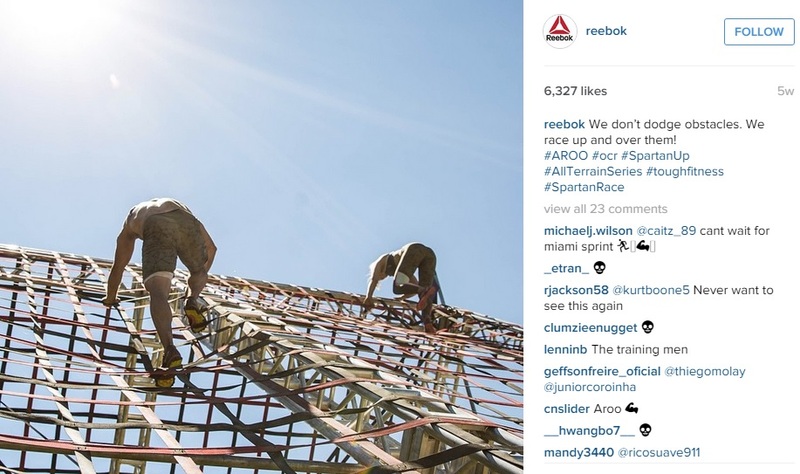 Reebok Germany’s Social Media Manager Sibylle Kneer’s Instagram posts from her 26k Reebok Spartan Race are great examples of how our employees truly engage with what we stand for as a brand – we are a #fitasscompany! Using Instagram for business is a bit different than using it personally. Before we get into the idiosyncrasies of the platform, let’s touch on a few things that are true of marketing on any social media platform. Any successful social program doesn’t just perform random acts of marketing, but marries the strengths of the social platform with actual business objectives. Before you jump on the Instagram bandwagon, consider your purpose on the platform. What are you hoping to achieve by being active on Instagram? And don’t just say SALES. Ultimately, it all comes down to sales for a business, but that’s the end goal. Not how you should measure your effectiveness on Instagram. Are you looking to drive foot traffic? Awareness of your store? Awareness of your product? 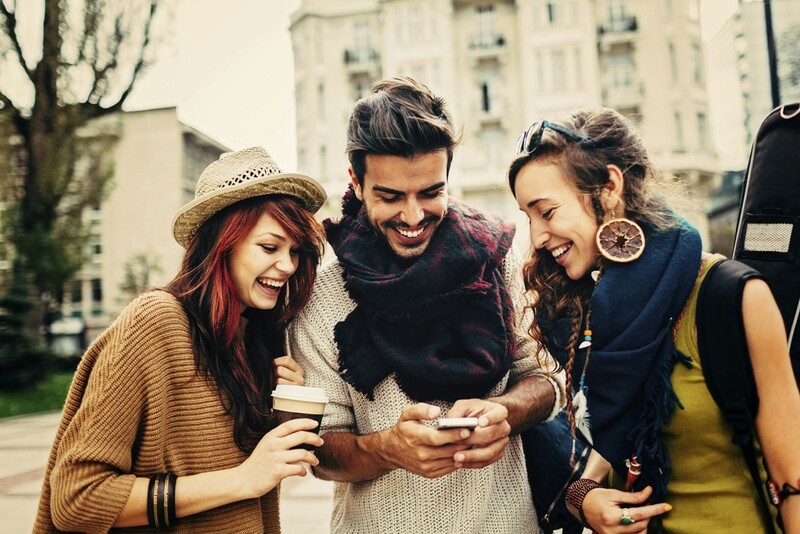 Are you trying to humanize your brand? Or build relationships? Pick your goal, and pursue relentlessly. The other thing you have to consider before kick-starting your social program is process. Wait, what? Process? Yes. Social media loves process. Process creates consistency. And if you hope to have success on Instagram or any other social platform, you have to constantly and consistently be active, creating and engaging with content. And when you’re busy running a business with other competing priorities, it’s easy for social media to get lost or become overwhelming unless you’ve set up systems and processes to help you stay on track. Keep on track to be successful in managing your business channel on Instagram. Process doesn’t have to be complicated, it just has to be thoughtful. It might just be that each time you get a new shipment of merchandise; part of your inventory process is taking Instagram-worthy pictures of them. Or maybe it becomes standard practice that you take a group shot at each event your store hosts. Bottom line, if you don’t plan it, it doesn’t happen. So make process a part of your Instagram plan. But enough intro. Let’s get into it. Simple – they don’t work. There is one single place that you can put a clickable link on Instagram, and that’s in the website field of your profile’s bio. For this reason, it’s REALLY hard to get people out of Instagram. It’s just not a good platform for a direct response social media program. Click to buy, click to convert, driving web traffic – these are just not things that Instagram is good at. There are many companies currently using the “Click the link in our bio” tactic to try and drive traffic, but I have yet to see (or experience myself) any significant results from this practice. Not to say you can’t find ways to make it happen, but you need to know that posting your products with links to buy is simply not going to work. Got it? Great. In social media marketing, we’ve come to approach content creation with the mindset of “is it shareable?” We’re constantly after those things that will “go viral” and spread across the internet. Facebook, Twitter, Tumblr, and YouTube give us the chance to do this incredibly well, but Instagram doesn’t make it easy. Your choice of actions on Instagram is to Like or Comment. There is no retweet. There is no share (publicly at least). So unless your content is Kardashian-esque enough to “break the internet” and make people go out of their way to share, it’s not going anywhere. So don’t count on it. But what Instagram lacks in shareability, it makes up for in discoverability. Remember how I said Instagram users are super active? Well, they’re so engaged that they LOVE discovering new content, regardless of who puts it out. To be as discoverable as possible, you’ll want to make sure you’re making the most of your opportunities. 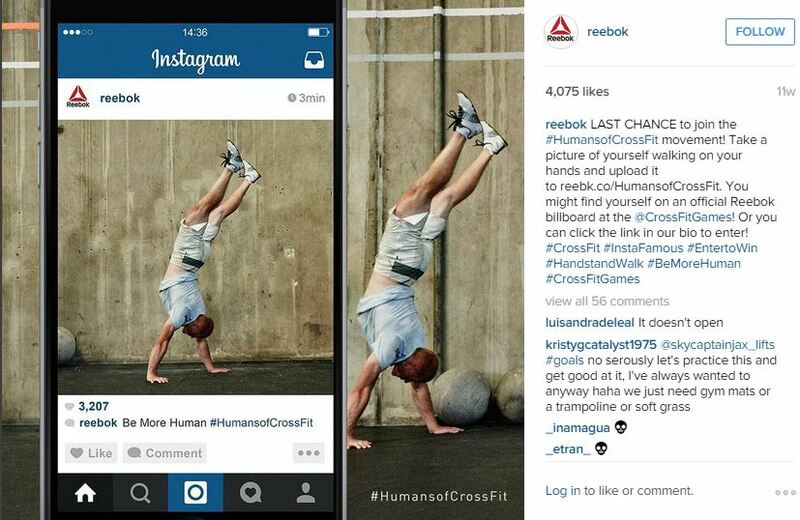 Hashtags, locations, tagging, and engagement. That’s how you can make sure your content is being seen by as many people as possible. Hashtags are highly prevalent on Instagram and are the primary way new people are going to come in contact with your content. It’s totally acceptable to use multiple hashtags as long as they’re relevant, so go for it! Location tagging is the practice of marking your picture with where it was posted. You can name the location whatever you want, but you can also use what the rest of the community is using to get more exposure. 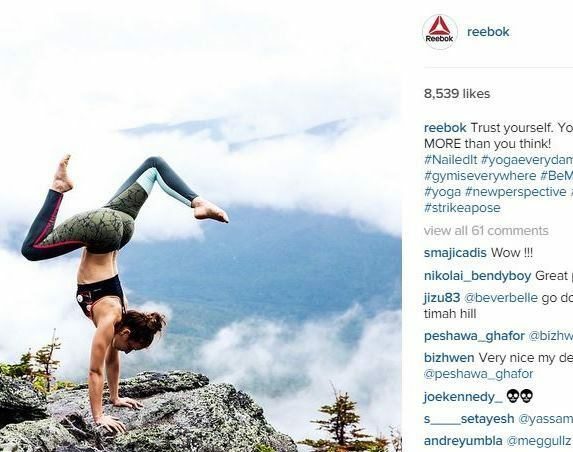 For example, if you’re posting from the Reebok CrossFit Games and you tag your picture with the location “StubHub Center”, others who are posting or viewing content from that location may be exposed to your content. Cool, huh? Tagging other users and getting users to tag their friends in your posts is as close to sharing as you get with Instagram. There are two ways to tag people: in the copy with an @mention, or Tag in Photo. Use this to pull in your followers, your vendors, your employees, and your partners. Finally, engagement is the key to showing up on the Search/Navigate page. The more people like and comment on your content, the more likely it will be to show up on that page to people who aren’t already following you. Which brings me to the next point. Posting on social media, and Instagram in particular, is not a one way endeavor. If it were, social media wouldn’t be the communication revolution that it is! You’re going to get the most out of your Instagram program (more followers, more likes, more comments) if you’re not only posting content, but interacting with people on Instagram as well. This means responding when people ask you questions, following other users, and liking and commenting on their content. Just be social! Especially with your customers and with your vendors. Finally, this may be obvious, but it can actually present a logistical nightmare for a brand managing a presence on Instagram. You can only do it on your phone. Other platforms allow you to use third party applications to post, monitor, and engage. Other platforms let you schedule posts so that you can plan ahead. Other platforms let you post from your computer. Not Instagram. That’s part of what’s kept it pure, real time, and cool. But for a business, that’s tough. Put together a plan for who will log in and use the account and when. If you can, maybe dedicate a device for your business to be the “Instagram device” so that multiple people can use it without mistakenly posting something to your brand account that should have gone on their personal account. Yes, it’s a limitation, but as we creative-types know, sometimes technological limitations lead to creative revelations. Be structured, look through the eyes of your target group and keep your goals in mind by thinking mobile. So that’s it! The 5 things you need to know about Instagram for your business. But wait. One last critical piece…! With all this planning, process, and technical discussion, let’s not lose sight that Instagram is all about beautiful images. If you want to be awesome at Instagram, step up your photography game. Ecom images of products on white backgrounds will not cut it. Get creative, get visual, make it memorable, make it unique. Sounds like Instagram is not worth posting too. Too many restrictions and not useful for business, only pleasure. Waste of time. I will not participate. YouTube generates revenue directly, not even Facebook does that or Twitter. We use the #hashtag a lot to promote our business. Definitely Instagram has a great potential but there are too many restrictions as well. It's hard to gain quality followers in instagram, it takes lots of times but I prefer engaged followers that ghosts one.